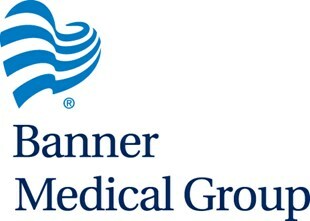 Banner Health is regarded and recognized as a top health system in the country for the clinical quality consistently provided to patients in our hospitals, nonprofit Banner Health is headquartered in Phoenix, Arizona, and operates 29 hospitals, including three academic medical centers and other related health entities and services in seven states. We have rapidly evolved from a health system of hospitals to a fully integrated system that includes significantly expanded services through Banner Health Network, Banner Medical Group and, in 2015, with Banner – University Medicine. Through Banner Medical Group provides access to quality care by placing health centers and clinics throughout the communities we serve. Enjoy the Northern Colorado Front Range for careers, lifestyle and attractive communities where Banner Health has three hospitals: Banner Fort Collins Medical Center in Fort Collins, McKee Medical Center in Loveland and North Colorado Medical Center in Greeley. Banner Health has multiple clinic locations in Northern Colorado including: Fort Collins, Loveland, Greeley, Windsor and Johnstown. 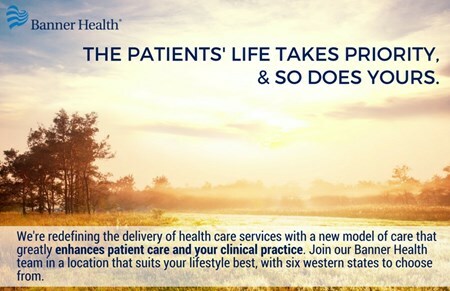 Banner Medical Group, Banner Health's employed provider group, currently has more than 1,300 physicians and Advance Practice Providers located in seven western states including Nevada, Nebraska, Arizona, Colorado, Alaska and Wyoming. Our doctors and providers care for patients in a variety of patient care settings. Within one hour there is access to three major universities (Colorado State University, University of Colorado, and University of Northern Colorado) plus numerous community colleges.